The Time To Drop is now! Are you prepared? Halo 3: ODST may have started out as simple expansion and something to tie us over until Halo Reach comes out, but it grew into something more and can easily share the spotlight with the Halo trilogy in terms of quality and presentation. You don't need me to tell that you're not Master Chief, the Spartan we all love and know, but from the start Bungie made tweaks to the gameplay to drill in the fact and by the end of the story, I almost forget about the Green Demon. In ODST, the highly trained Marines known as Hell Jumpers take up the mantle to save humanity and you get to see their perspective on how the events from Halo 2 and Halo 3 went down. The time to drop is now, but are you ready? 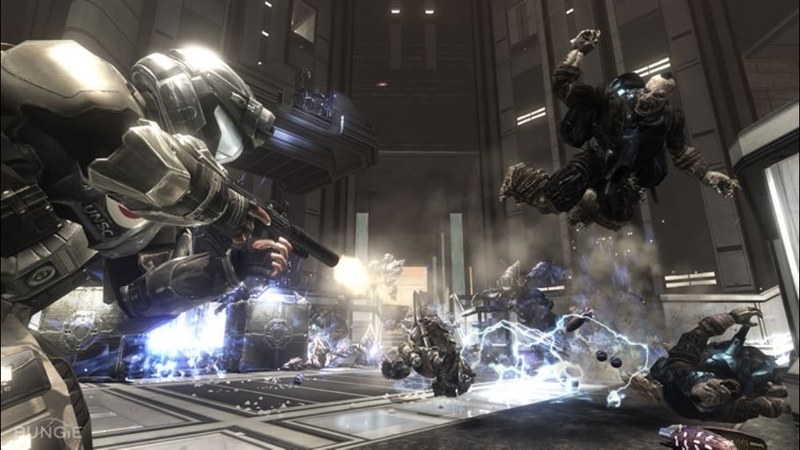 You will spend most of your time in ODST's campaign as the Rookie, a new member of an elite ODST squad including Buck, Mickey, Romeo, Dutch, and Dare. 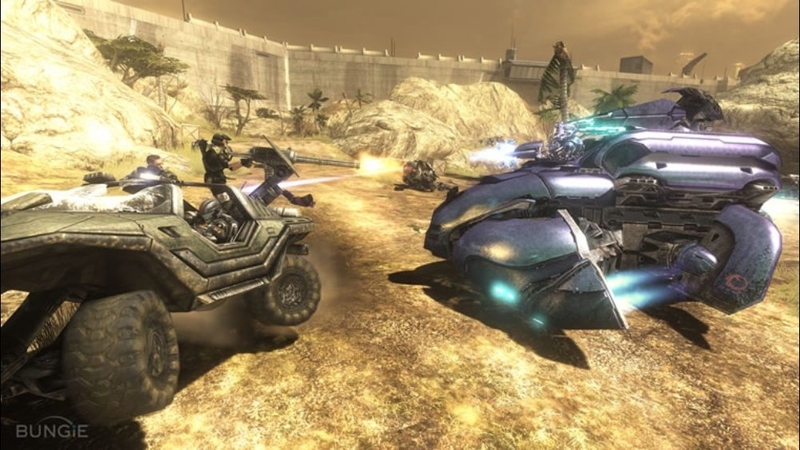 These Troopers are getting ready to jump into New Mombasa in hopes of finding a way to defeat the covenant when a enemy ship jumps into space causing a effect that disrupts the teams landing and the rookie gets knocked out for 6 hours after the crash. You wake up to find nothing but scattered groups of covenant aliens searching for survivors when finally wake up. You must search the city for your squad and along the way you receive a little help from the superintendent, an AI program that operated the cameras and security around city that points out a few locations to get you started. Instead of finding your ODST mates, you find items that show what happened when you were out cold. Upon interacting with these, you find yourself flashing back and viewing the events from their perspective. The open world exploration of looking for items is cool and interesting, and the flashback missions resemble some of the high action mission that Bungie do best. 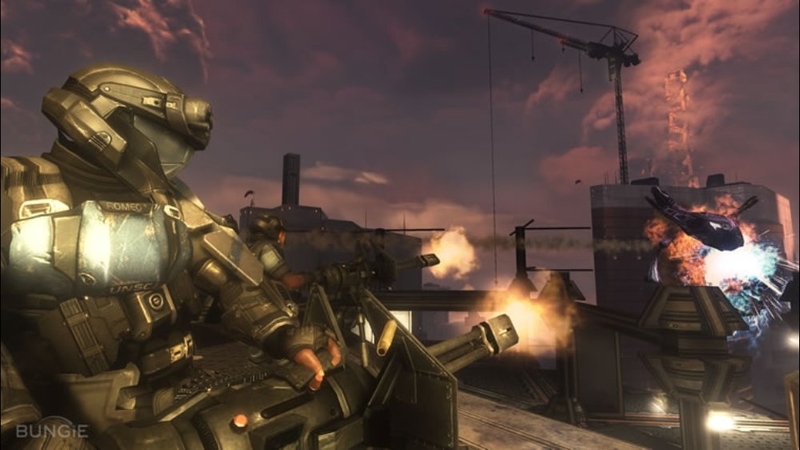 These missions will have you do everything from driving around in Warthogs taking out tanks, to sniping enemies from high above the city and blowin stuff up. The cool thing about these missions is that they can be played in random orders, so your friends may start out doing things a little differently that yourself. The story can take anywhere from 5-10 hours depending on difficulty and the amount of players, and has a little replayabilty with the option to find 30 audio logs that explain the events before the covenant invaded New Mombasa. This is a ton of fun to play with friends, but try playing the campaign alone a few times, and you will see that the moody music and felling of loneliness as the Rookie can be a nice immersive experience. 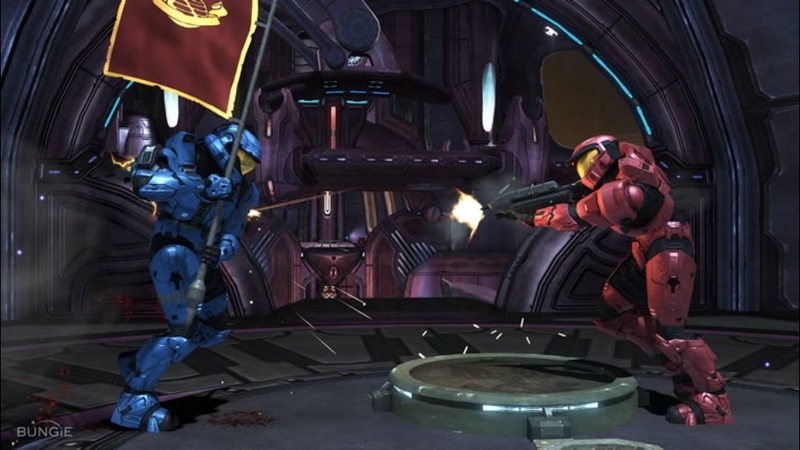 Gameplay and controls haven't changed much from Halo 3, but there a few differences that change the way you go into combat situations. ODSTs' have health and reduced speed and jump power, and it will take multiple melee hits to bring down the bigger foes that usual. There are even times when the grunts can be a little dangerous whereas before you would almost run past them as the Chief. Aside from the great campaign is Firefight mode. 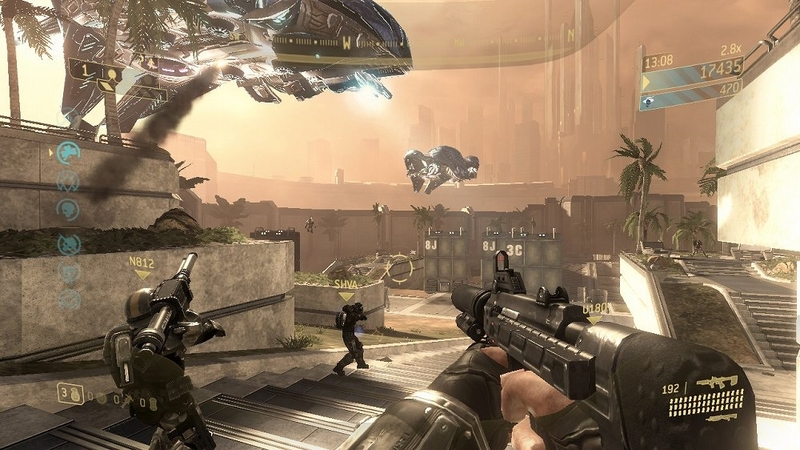 Similar to the modes in Gears of War 2 and Left 4 Dead, Firefight mode expands upon those previous versions greatly. 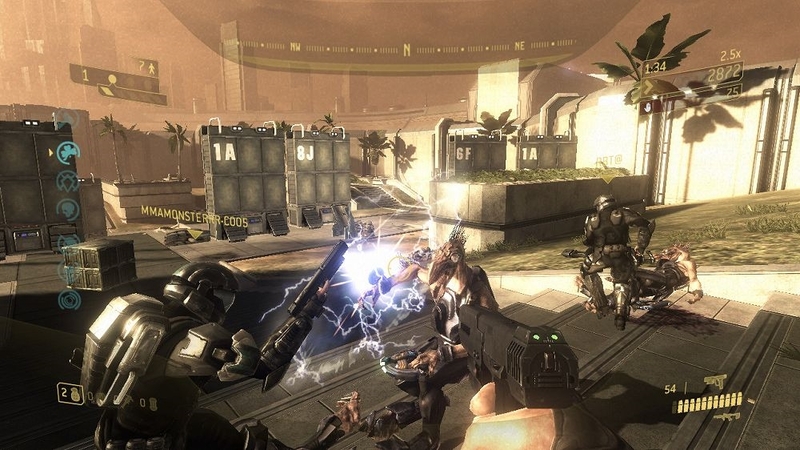 Using the skulls from Halo 3, Bungie has made a mode that gradually becomes more varied in the gameplay. The mode is never ending at players start out with 7 lives shared together and make their stand against the covenant. The mode goes like this: There are Three Rounds with 5 waves each in a Set, and there are an infinite amount of sets with bonus rounds usually after 1 set has been complete. Skulls turn on after sets and depending on the difficulty, players will receive a different multiplier to help rack up more points. Currently there are 10 levels to play on, but the maps included are fun and varied. The Second Disc included with ODST is Halo 3 multiplayer with all the maps, plus 3 new ones and a few more achievements to gain. This disc can be played with those that have the original Halo 3, so If you like the multiplayer and want to save some space on your hard drive, you'll be glad everything is on one disc. Overall this is a great package and something great to hold us over until Reach comes out. So hold onto your Disc so you can play the Reach beta and see you online for some Firefight Action! Play- Campaign by yourself a few times to feel the loneliness of the Rookie. Trust me, it's cool!